This handsome little face is a chewer! He will chew anything around him- pencils, his hand, nails, his shirt! He does it so much that it started to cause issues at school and of course we hate it because of the germs he picks up! I started hearing about Silicone Oral Sensory Beads, and knew this was exactly what he had to get! 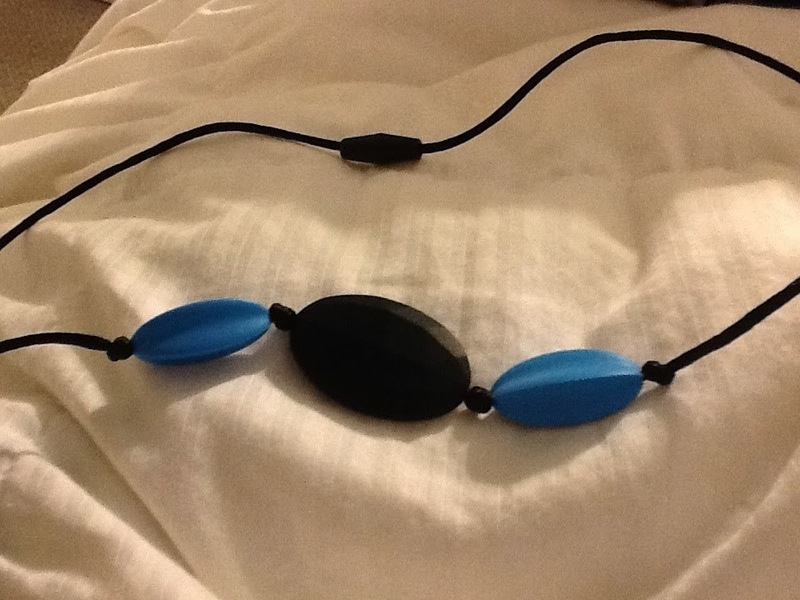 I recently contacted Sensor-bility for a review and was sent the adorable silicone beaded necklace for review. 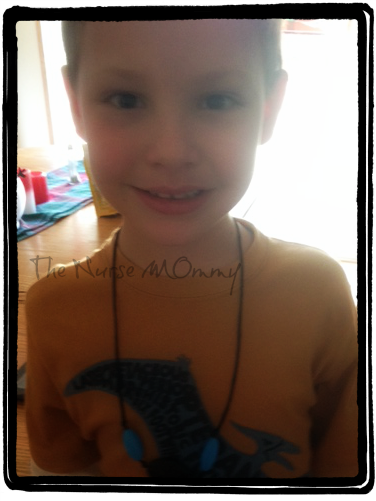 Even though my son has a few different necklaces, including a green one (his favorite color) he says this is his favorite necklace and almost always opts to wear this one to school. I has helped him a lot with his concentration, and has definitely cut back on his nail biting and chewing on his clothing! It is very well made with a break away clasp and super affordable at only $8+shipping! This necklace is pretty enough for Mommy to wear as a teething necklace for the little ones as well! This is a fabulous etsy shop that specializes in products that children with sensory processing disorders can use! They carry products like weighted blankets, pendents, crinkled fidgeters, and seek sacks! Such a neat little store! I support the smaller work at home shops, and you should too! Awesome. I'll have to look into that. excellent price?